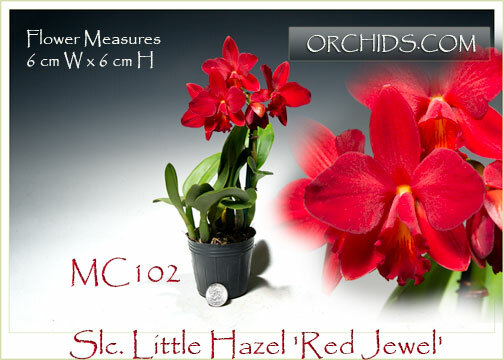 A true miniature in the world of red Cattleyas with its dwarf growth only reaching 4-6” in height ! To show how miniature it really is we’ve placed a 25-cent US coin in front of the pot. Its pod parent, Slc. 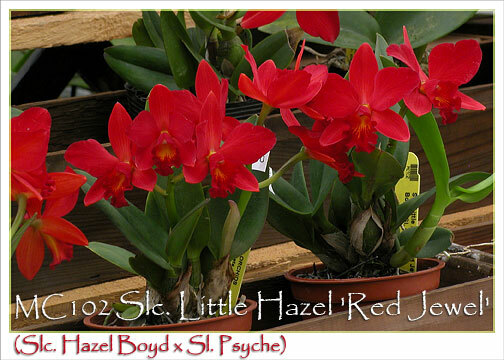 Hazel Boyd, is known for a vigorous growth habit producing multitudes of flaming red flowers. The pollen parent, Sl. 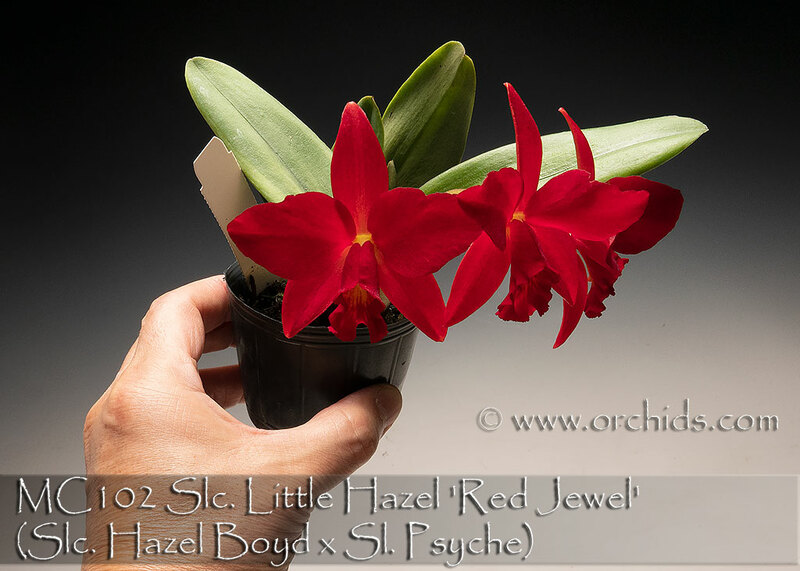 Psyche, is a hybrid of L. cinnabarina x S. coccinea, giving it the truly miniature growth habit. 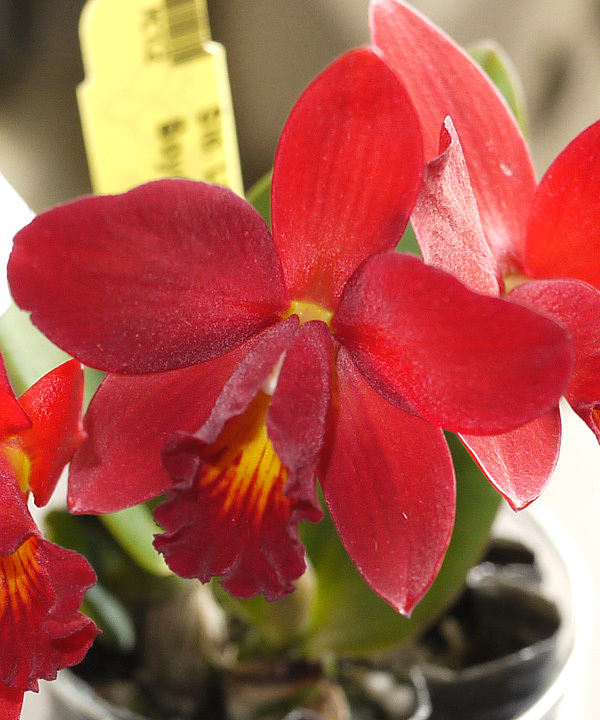 This little hybrid will flower twice a year with flowers that last for weeks. 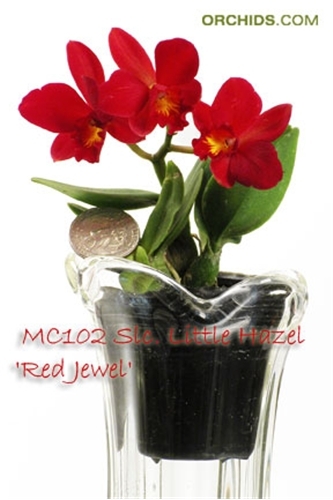 And like many miniatures, it can easily be grown and flowered under lower light conditions, similar to that for Phalaenopsis. 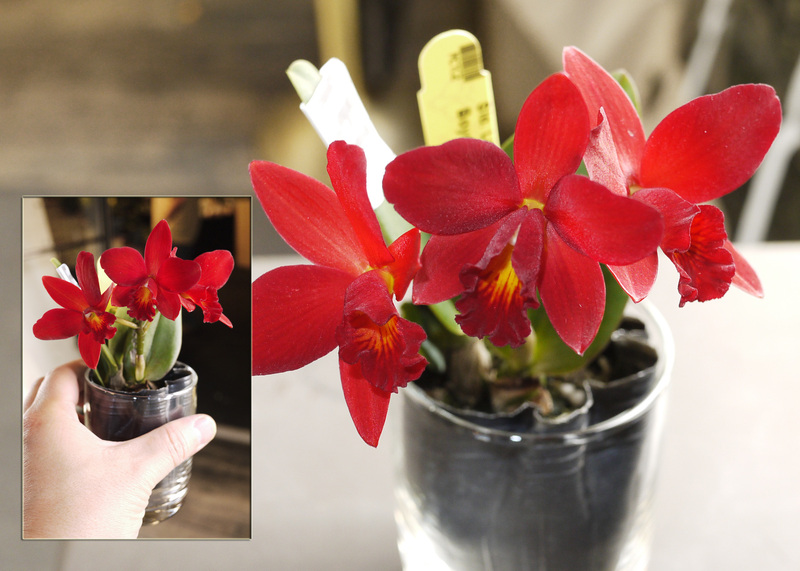 A perfect little candidate for under-lights and windowsill growing. Highly Recommended !